PayPal is one of the most secure and convenient ways to deposits at UK online casinos. With built-in security and fraud prevention, you can play without sharing your bank details and withdraw faster than with most traditional banks. Start playing today at the best PayPal casinos and slot sites below. Sign up to Novibet today and deposit using your PayPal account to double your cash and claim up to £250 bonus cash. Play hundreds of casino games including blackjack, poker and top slots like Gonzo’s Quest, Starburst and Microgaming’s huge progressive jackpot Mega Moolah. Join PlayOJO today and deposit to claim up to 80 free spins on Book of Dead, with no wagering requirements or capped wins. At PlayOJO, you can choose from over 2000 casino games including slots, table games, progressive jackpots and huge progressive jackpots. All players can also claim cashback for every bet – win or lose! Deposit and spend £10 at BetVictor to claim a £70 welcome bonus. BetVictor has over 700 casino games, including top slots like Starburst and Golden Grimoire and huge progressive jackpots including Hall of Gods and Mega Jackpots. Unfortunately, the welcome bonus is not available for first-time PayPal deposits. Join Mr Green, the suavest casino on the internet, and deposit using your PayPal account to claim up to £100 bonus cash. Plus get 200 free spins on one of six popular slot games including Starburst, Gonzo’s Quest, Aloha and Finns & the Swirly Spin. Terms & Conditions: New players only. 18+. 35x wagering. Deposit of £20+ unlocks a 100% Match Bonus up to £100 in Bonus Cash, subsequent wager of £20+ on slots unlocks 100 Bonus spins & 5 days of 20 Bonus spins. Full T&Cs apply. New ComeOn casino players are treated to 20 free Starburst spins on registration – no deposit required! Double your first PayPal deposit with a 100% match bonus to spend on over 800 games including huge progressive jackpots like Mega Moolah, Major Millions and Hall of Gods. Terms & Conditions: 18+. New UK mainland customers only. Receive 20 Free Spins on Starburst once registered – no deposit required. Receive a 100% matched first deposit bonus, up to £25. Min deposit £10. Max bonus £25. 35x wagering requirements. Full T&Cs apply. 888Casino have been rewarding players for over 20 years and they’re pretty good at it. Join and deposit using live30 to top up your 100% match bonus with an extra £30. Play exclusive jackpot games like Millionaire Genie or take a seat at one of 888s live casino tables to play poker, blackjack or baccarat. Terms & Conditions: New players only. £20 min deposit. 100% up to £100 Bonus + £30 extra bonus. Bonus wins are capped at £500. To withdraw bonus & related wins, wager 30 x (bonus amount) within 90 days. Wagering req. vary by game. Deposit balance is available for withdrawal at any time. Full T&Cs apply. 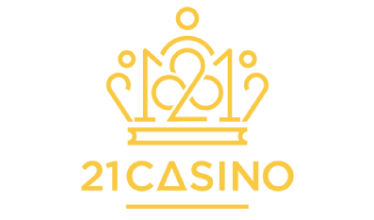 At 21Casino, you’ll find hundreds of top casino games like Immortal Romance, Raging Rhino and Book of Dead. Join today to claim your 121% match bonus up to a whopping £300. Plus, all wagers contribute to your loyalty points which you can exchange for bonus cash to keep playing your favourite games. Sign up to Mansion Casino and claim your generous reload bonus of up to £500 bonus cash, plus 10% cashback during your first two weeks. Mansion Casino has plenty of casino games for you to play including Playtech’s exclusive Age of the Gods series and Gladiator. Terms & Conditions: New customers only. Min deposit £20 max bonus amount £500. First deposit: 100% up to £200. Second deposit: 50% up to £300. Wagering 40x for each bonus. Game weighting applies. Cashback: 5% cashback on first and all other deposits during week 1, 10% cashback on all additional deposits taking place in week 2 only. Bonus betting limits: slots - £5 all other games – 10% of bonus amount. Full T&Cs apply. Join Casino.com today and you’ll be treated to 20 free spins on one of the exclusive Age of the Gods games, plus deposit to get up to £100 bonus cash and another 180 free spins! Access loads of other exclusive Playtech slot games like White King, Gladiator and Man of Steel. Sign up to bgo today and receive 10 free spins, no deposit required and all winnings are yours to keep! Go on to deposit and you’ll get a 100% match bonus up to £200 to spend on your favourite casino games like Cleopatra and Rainbow Riches. Live casino fans can also play classic games like roulette, baccarat and blackjack. Terms & Conditions: New customers only. 10 Free Spins on registration (UK only). First deposit only, 40x wagering. Game weightings apply. No Neteller/Skrill. Selected Games only. Full T&Cs apply. Handy Vegas is giving new players up to £500 casino cash and 200 Starburst spins over their first five deposits. Available on mobile, table and desktop, you can play your favourite slot games such as Thunderstruck II and Bonanza as well as NetEnt Live dealer games including classics like roulette and blackjack. Terms & Conditions: First 5 deposits only. Min Dep £25. Max bonus £500 + 200 spins on Starburst. Selected slot games only. 5x Conversion. Wagering and T&Cs apply. Explore a wide variety of casino games at Temple Slots and deposit using your PayPal account to claim up to £150 bonus cash on your first three deposits. Plus, get 150 free spins to use on huge slots like Gonzo’s Quest, Finn and the Swirly Spin, Starburst and Aloha!. Terms & Conditions: First 3 deposits only. Min dep £10 (£20 3rd Deposit). Max cumulative bonus £150 and 150 spins. Bonus match amount and spins game eligibility vary per deposit. 50x wagering on Deposit + Bonus, 50x on bonus spins, 10x max conversion, £5 max bonus stake. Full T&Cs apply. A major appeal of PayPal is the speed that it processes withdrawals and returns. PayPal withdrawals from online gambling websites usually take just 24 hours to reach your bank account and, in some cases, they’re completed instantly. However, don’t expect to receive your money as soon as you’ve hit the withdrawal button, because it can still take between one to five days for a casino to actually process your request. This delay enables casinos to complete checks for fraudulent activity and money laundering, as well as giving you time to cancel your withdrawal completely. New players are often also required to complete a ‘Know Your Customer’ (KYC) check before a withdrawal can be approved. This is performed automatically, but you may also need to manually verify your account by submitting identification documents such as your passport, driving licence, bank statement or proof of address. KYC checks are a legal requirement for online gambling operators to ensure that all new players are over 18 and are who they say they are. However, new Gambling Commission rules coming into effect from May 7th 2019 will require that this information is requested before players are able to deposit, subsequently speeding up payments and account withdrawals. Can I use PayPal at every online casino in the UK? PayPal is a common payment method and is available at casinos running on Dragonfish, Playtech, Nektan, Jumpman, Progress Play, Aspire Global and Microgaming software as well as proprietary sites like PlayOJO and bgo. Not all casinos support PayPal and some countries outside the UK restrict it from being used for online gambling – most notably in the USA and Canada. To check whether PayPal is available, visit the Help or FAQ section at your chosen casino or go to the cashier and see if there is a Pay With PayPal option. All PayPal casino and slots payments will display as ‘PayPal’ on your bank statement. Some banks will also display the merchant’s name or a transaction number alongside it. If you spot an unfamiliar transaction on your bank statement, log in to your PayPal account and check your ‘Recent Activity’ to see a detailed view of all your payments, including dates, merchants and amounts. What’s the difference between PayPal One Touch and Quick Registration? PayPal One Touch lets you securely save your login details on selected devices to speed up transactions at eligible UK casinos. Once it’s activated, you’ll skip the usual login screen and go straight to the payment page to authorise deposits and payments. We don’t recommend enabling PayPal One Touch on shared devices such as public or family computers to avoid unauthorised access to your account. You can control your approved devices in your PayPal settings. PayPal Quick Registration lets you sign up to a casino using your existing PayPal details (email, name, address and date of birth), saving you time and effort. Bear in mind that you’ll be required to deposit if you choose to sign up using PayPal Quick Registration, so only choose it if you’re ready to commit cash. Why choose a new casino that accepts PayPal? PayPal is the world’s largest and most popular eWallet service, founded in 1998. It stores your bank details securely, allowing you to spend money at millions of websites without sharing your financial information with each company directly. You can also send money to friends or instantly accept payments from others using a PayPal account. It’s free to open a PayPal account and the initial process only takes a couple of minutes. You’ll be asked to enter your name, email address, home address, date of birth, phone number and a unique password. Once you’ve opened an account, you’ll be prompted to add your bank account and debit/credit card details which PayPal will check with a small £1 charge which is refunded after the card is confirmed. Your bank statement will display the charge as ‘PAYPAL’ and display a 4-digit code that you will need to enter in the Wallet section of your profile to verify your account. Once you have confirmed the code, you’ll be able to start using PayPal at your chosen online casino or other eligible slot sites. PayPal is synonymous with security – it’s one of the main reasons millions of people trust and use it worldwide. PayPal encrypts your information) to stop unauthorised access your data. All transactions are monitored to help prevent fraud or identity theft with alerts triggered if any ‘suspicious’ activity if spotted on your account. You’re not liable for any unauthorised transactions made on your account and should always report them immediately. Thanks to PayPal’s strict guidelines, only reputable sites are allowed to use its services. It’s particularly careful about the online gambling brands it works with, therefore it’s a positive indicator of high security when an online casino supports PayPal payments. PayPal also offers Buyer Protection, which covers users when there is a problem with a purchased item - if an item doesn’t arrive or isn’t as described, for example. PayPal will reimburse you the full purchase price (plus shipping) if you open a dispute in it’s dedicated Resolution Centre and your transaction is eligible. PayPal is free to use for anyone looking to spend money online, request refunds, receive withdrawals or send cash to a friend, unless a transaction involves a currency conversion. The minimum and maximum PayPal transaction limits vary between casinos and slots brands, but most are the same as a site’s other payment methods. In the past, some casinos charged you to deposit or withdraw using a PayPal account, probably because it’s expensive to integrate its services. It’s rare that you’ll now find a casino that adds transaction fees, but still check before depositing to avoid any unwanted charges. With plenty of payment options on offer, here are our favourite things about choosing a PayPal casino. When you compare its costs to other eWallets like Neteller or Skrill, PayPal’s a clear winner. While other charges up to 7.5% to withdraw your casino balance, PayPal is completely free to use for native currency transactions. It can take up to 10 working days to withdraw to a traditional payment method like debit and credit card, whereas PayPal withdrawals and refunds are pretty much instant once they’ve been approved. Using PayPal eliminates the need to deposit without inputting your bank details and simply entering your PayPal account information. If you enable PayPal One Touch, you can skip the login screen and deposit in a couple of clicks, making it easy to play on the go. We’d thoroughly recommend using PayPal as your primary payment method at the best online casino sites (or any site) because we’re yet to find a reason not to. PayPal is free to use, more secure than standard card payments and the near-instant withdrawals are just the cherry on top of what is already a pretty spectacular eWallet-cake.